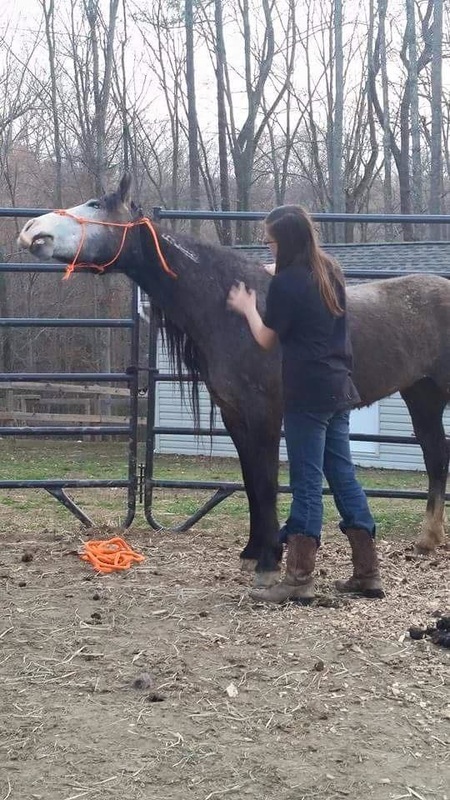 MAKAYLA CARDOVA is a 17-year-old girl whose equine dream came true during the spring of 2015 when she and her mother each adopted a wild mustang at a BLM adoption event in North Carolina - far from their home in Maryland. 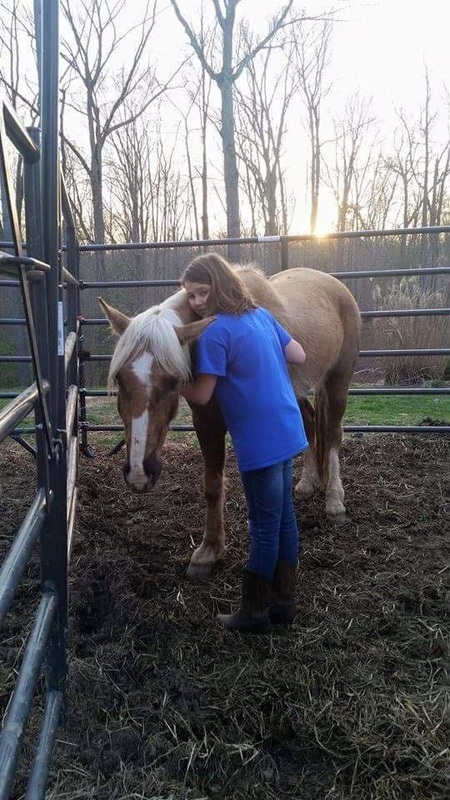 Makayla has been busy training both mustangs since then, and has been selected to be a Youth trainer in the Youth Extreme Mustang Makeover in Virginia this coming August (2016). In this month's issue of Wild Heart Mustangs™, Makayla tells us about the start of her wild mustang dream, and how she made it come true. We'll share her progress in future issues of the Wild Heart Mustangs™ e-zine. In 2015, Grandaddy’s and my dream became a reality. About two years prior, I had learned about Bureau of Land Management mustangs. I needed a smart horse, someone to learn with. I prepared to adopt a mustang in the spring of 2015. Since we live in Maryland, it’s difficult to adopt a mustang because the BLM holds very few adoptions in our area. Then I heard about Canon City, Colorado BLM Holding Facility mustangs and later saw that a load would be coming to North Carolina in February 2015. Checking up on #7336 & #8562 on the long journey home from Marshall, NC to Mechanicsville, MD. At BLM holding facilities in Wyoming and Nevada, the mustangs were just numbers. I started looking online and saw a gray mare. I fell in love with her the moment I saw her. I already had a name picked out for a mustang: Sacred Dove. I had looked at many of the mustangs. They were all pretty, but none of them had Dove’s “WOW” factor. I saw her and immediately knew she was my Sacred Dove. ​We sent in our application, it was approved, and now we waited for Dove to come home! We adopted Jackson a few days after I found Dove. We named Jackson after his herd area (in the Jackson Mountains of Nevada), Coatigan (the small creek that runs by our barn), and our favorite chocolate (Toblerone) since he’s a chocolate palamino. So his full name is “Coatigan’s Toblerone Jackson”. On March 14, 2015, our lives changed – in an amazing way. Our dreams came true when we picked up those two completely wild mustangs. They didn’t have names. They only had numbers: Tag #7336 and Tag #8562. All those horses had known was the places where they had run free: Adobe Town, Wyoming and the Jackson Mountains of Nevada. Then the BLM brought them to the Canon City, Colorado holding facility, where they made new friends with the other mustangs. Tag #7336 was in holding from October 10, 2010 until March 14, 2015. Tag #8562 was in holding from July 1, 2012 until March 14, 2015. They had no idea why they were loaded onto a huge trailer and shipped across the country. They had no idea why people stood along the pen watching them. 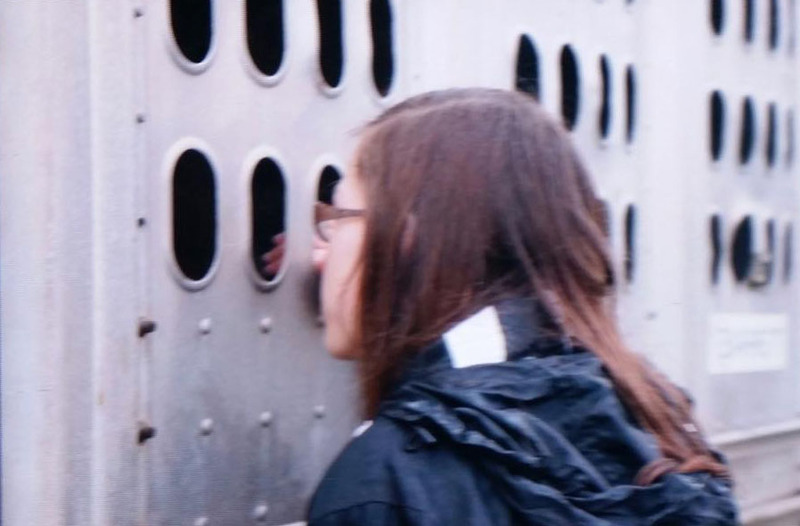 They didn’t know why they were separated from their herds and loaded into different trailers. Tag #7336 and #8562 had never met each other before they were loaded on the trailer bound for Marshall, NC. They didn’t know they had a family waiting to meet them and love them. They didn’t know they would have names. Tag #7336 became R. HeavenLee Sacred Dove. Tag #8562 became Coatigan’s Toblerone Jackson. Dove was said to be friendly when she was in holding, while Jackson was skittish and standoffish. Once they were loaded onto our trailer in Marshall, North Carolina, we headed home - about a 9 hour drive. On the way home we stopped to get gas and I was able to pet Dove and get her tag off. Jackson wasn’t friendly and wanting to be touched. When we stood on one side of the trailer, he jumped to the other with a wide-eyed, terrified look. We made it home just before sunset that night. Training began the very next day. Laci gives Jackson a hug. Dove thinks that feels great! On the morning of March 15th, my dog Kodi met Dove. Dove did not care to meet Kodi; she picked him up and threw him on the ground and then stepped on him. He was fine, just scared. Dove was unhappy for the rest of that day and would try to bite or kick if you got too close. Jackson was still as terrified as he’d been from the start. He always stayed on the opposite side of his pen from where you were. If you went to touch him, he would either lock his legs and shake or he would bolt. I had Jackson move out around me to try to get him to gain up. He would stop when asked to but wouldn’t come close. If you went to touch his face, he would freak. I tried touching his shoulder to pet him and that worked. I could pet his shoulder, but had to be very slow and patient. I was able to get a halter on him, but it took a lot of time to get it on. He stood still, but put his nose all the way to the ground. Every day for about six weeks, I would have to start halter training all over again to get him trust me. My next mustang adventure will be for 100 days. I have been selected to be a Youth trainer in the Youth Extreme Mustang Makeover in Virginia in August 2016. Pick up is in Knoxville, Tennessee at the end of April. I’m not sure yet if my makeover mustang will be a colt or a filly yet, but we’re already starting to pick out name. 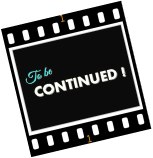 You can follow my story and our progress preparing for the Virginia Extreme Mustang Makeover in future issues of Wild Heart Mustangs™ e-zine. At the end of the Extreme Mustang Makeover competition in Virginia, the colt or filly that I have trained will be auctioned off to an approved adopter. I very much want to give someone else a chance to love a trained mustang. 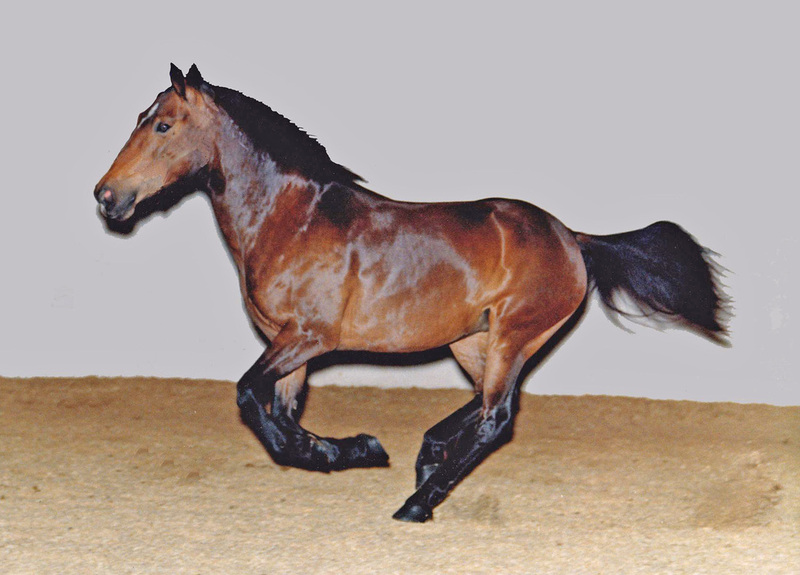 These horses are amazing animals, and so smart. Each one needs one person to bond with, someone they can trust. I will do my best to make that happen, now that my mustang dream has come true. 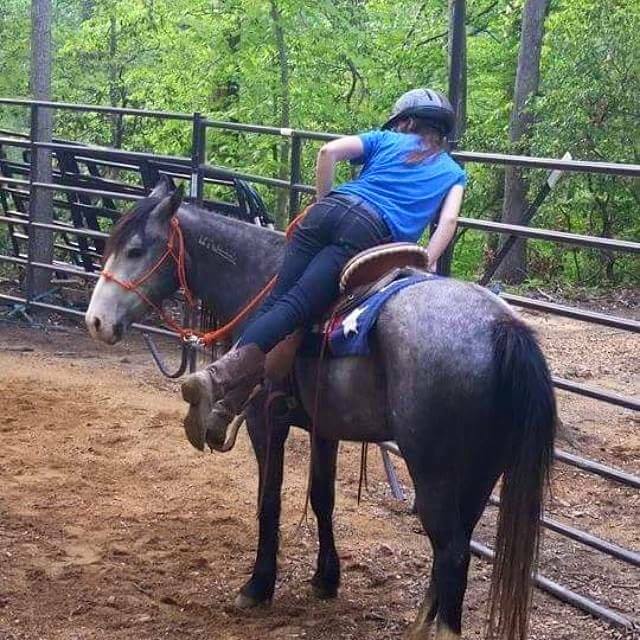 Emma Minteer working with Sweet Potato - exposing him to blue tarps and obstacles as part of his training for desensitization and building confidence and trust. In our April 2016 Issue we reported that we sent Sweet Potato, Neeheewanna, Wakan and Clover off to school to be trained by ﻿Jack and Emma Minteer ﻿at Rose Hill Ranch in Naples, NY. Equines are not unlike humans in that some learn quicker than others, some like to learn new things, some don’t, and some don’t really think they need to be there. Sometimes learning is fun; sometimes it can be scary. Sweet Potato is doing mostly groundwork and desensitization; and he's learning how to lead and pony. He's learning skills that are age-appropriate to him and he learns new things as he progresses and builds a solid foundation. In the pictures you can see him learning obstacles, desensitization to the blue tarp, learning how to pony with Neehee, and crossing water. Looks like Sweets likes the creek, but the mailbox at the end of the driveway is a pretty scary monster. Neehee is learning how to be the lead horse and to pony Sweet Potato. She's been learning how to pivot and do new types of footwork that she was never exposed to before. Wakan is a pretty laid-back kind of guy. He went to the trainers just for a tune-up after not being ridden last year because of our hectic schedules. Actually, none of them really got ridden last year, so going to the trainers for a tune-up was good for everyone, to get them more conditioned and ready for trail riding this year. Clover is my girl who really didn’t think she needed to go to the trainers. She was pretty happy sitting at home and hanging out in the pasture with her meals delivered and just relaxing every day. When Jack got on her and tried a side pass, it was like she'd done it yesterday, and she never missed a beat, even though it's something we don’t normally do with her. She's smart and retained everything she'd learned when she was at Rose Hill two years ago – although she really has no ambition to do any of it. We've had Clover for 8 years now and this mule has far exceeded any expectations we ever had. Our first year with her, we had our doubts…she tried Bucky’s patience and our abilities. But since she's gone to training at Rose Hill, she quickly has become Bucky’s favorite mount. Josey stayed home and didn’t go to school because she already will do anything and everything that Bucky asks of her. He points her in a direction and she will go through, around, and over anything he wants. She's like the energizer bunny…one speed … a fast walk and she never tires. Jenny also stayed home, as she's retired now. She has earned her keep and now has a life of leisure and will be a good teacher for the grandkids. While Clover and Wakan will be coming home so we can start riding them, Sweets and Neehee will stay with Emma a bit longer to continue with their training. Wakan was already done working for the day when we arrived. He was just enjoying soaking in the sunshine at Rose Hill Ranch. Clover is happy when her work for the day is done. She really doesn't feel there is a need to learn to lay down, if she isn't the one initiating it. Click on the photo to take a closer look at it. In 1978 I adopted my first mustang, an 8-month-old filly out of Nevada. I named her Nevada’s Miss Tang and she was just the beginning for me. I wanted to promote the mustangs and let everyone know how great they were, so in 1986 I started the North American Mustang Association and Registry (NAMAR). I wanted Mustang owners to come together and share their stories and show the rest of the equine world just what a mustang could do. In 1987 the first mustang (Tang) was registered and it has been non-stop ever since. There are many benefits to registering your mustang, including being able to compete in twice yearly photo shows (April and October), competing for one of many year end awards, and taking pride in a great Mustang Registry. Membership is available to anyone, whether you own a mustang, other breed of horse, or no horse at all. Show your support of NAMAR and the Mustang by joining today (_www.NAMARmustangs.com). Through the years NAMAR has sponsored many shows and amazed many people. Because of this, many people have adopted their own mustang, and realized just how great these horses are. 2016 marks the 30th Anniversary of NAMAR and in order to give back to the members, there will be give-a-ways all year long. Please check out the website at www.NAMARmustangs.com if you are interested in being a part of this celebration. You can also join the NAMAR Facebook group page and share NAMAR with your Facebook friends. ​ ​to see the clinic schedule. 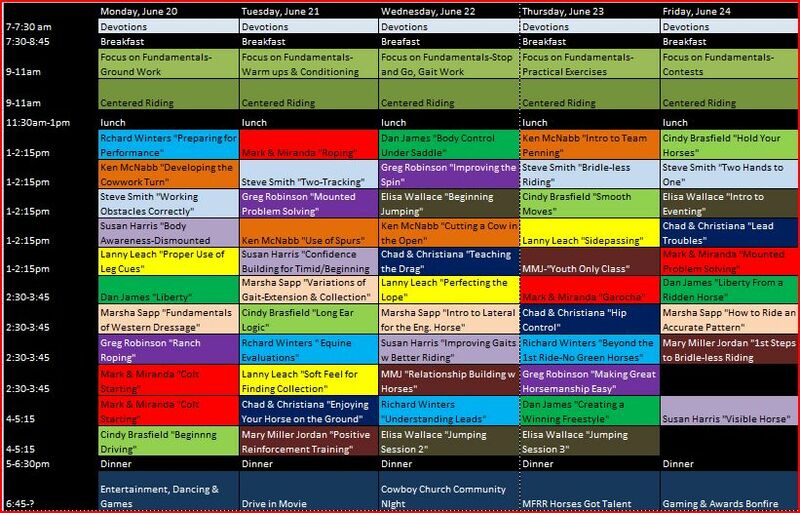 The Mustang Family All Breed Reunion Ride is an all-inclusive week featuring 14 of the very best clinicians offering over 40 clinics. Any way you add it up equals the equine experience of a lifetime! In the February issue of the Wild Heart Mustangs™ e-zine, we brought you the concept behind this unique equine experience. Our March and April issues introduce you to some of the clinicians you'll have an opportunity to live and learn with at the June 2016 event. The event's featured clinicians are Ken McNabb, Richard Winters, Dan James and Susan Harris. They're supported by Marsha Hartford Sapp, Mark & Miranda Lyon, Lanny Leach, Cindy Brasfield, Steve Smith, Mary Miller Jordan, Chad & Christiana Wenger, Greg Robinson, Elisa Wallace and BJ & Maryanne Grimmett. CONGRATULATIONS to not one, not two, but SIX winners selected in our “Inquiring Horses Want to Know” contest! We had so many inspiring entries with great questions that we simply had to spread the prize around a little more! Selected winners will receive one full registration to the 2016 Mustang Family All Breed Reunion Ride (MFRR) held June 19-25 in Raymondville, MO. Registrations include access to over 40 clinics and sessions, use of a camping space, covered stall, 3 hot meals daily, evening activities and contests, use of camp amenities like the swimming pool and fishing lake, and access to over 250 miles of trails! Special discounts on registration are available to their travel companions. The winners selected are: Cindy Chaffin, Kathi Wilson, Kelly Morck, Deborah Edwards, Michelle Anderson, and Kristen Rude. They had questions for Dan James, Richard Winters and Mark & Miranda Lyon. Because Dan James is on his honeymoon at this time, all winners will be notified by email and their questions will be saved for answer IN PERSON at the event! Question topics ranged from liberty work, to stalls vs. turnouts, keeping your horse’s attention and becoming their comfort zone, and how to begin hobble training! We’ll videotape the Q & A while at camp and present it in Wild Heart Mustangs e-zine for all to enjoy when we return! Want to attend the Mustang Family All Breed Reunion Ride? ​Of course, it’s not too late for YOU to join us and get your own questions answered at the equine experience of a lifetime-MUSTANG FAMILY ALL BREED REUNION RIDE! Join Ken McNabb, Dan James, Richard Winters, Susan Harris, Mark & Miranda Lyon, Mary Miller Jordan, Marsha Sapp, Cindy Brasfield, Greg Robinson, Chad & Christiana Wenger, Lanny Leach, Elisa Wallace, Steve Smith, and BJ Grimmett. Find more information at our web_site-www.mustangfamilyreunionride.com or call (512) 809-5250. 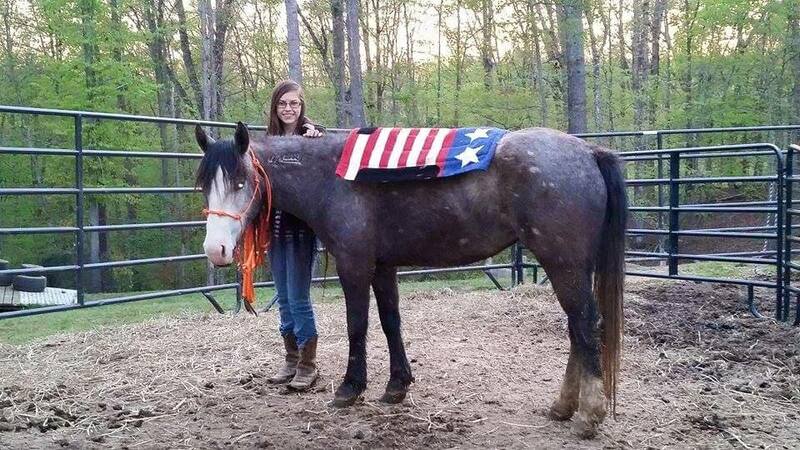 Proud of your special mustang, mule or donkey and want to share your photos and stories with us? ​We would love to have them!